Do you start your day with positive affirmations daily ? Have you ever noticed how many times you indulge into self talk and what it is about ? Yes we all talk to our own selves. And most of the time it is negative self talk. Most of the things we talk about to our own selves are the one we are going to experience in the future about something negative. We forget that this negative talk impact our general well being by making us prone to negativity. Negative chatter in mind takes all the energy off from your important tasks. Our brains are wired to act to negative situations on priority basis. It doesn’t act to positive situations with the same intensity. There could be some logic and reason behind some self talk but sometimes it just happens from the misconceptions of life we have. To come out of this, first you have to figure out that you are involved into the self negative talk. It takes bit of experience to catch when your self chatter is getting negative. Most of the time (not always) when you are talking to your own self, it is negative self talk. Some researches say that positive affirmations and positive thinking do wonders for your performance in any area of life. But some say that it has deteriorating effect on your general well being. And your progress on each and every area of life. 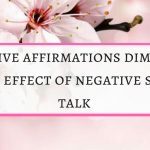 What I have understood from my own experience is that positive affirmations work when you have a positive outlook of life and understands the different aspects of life. 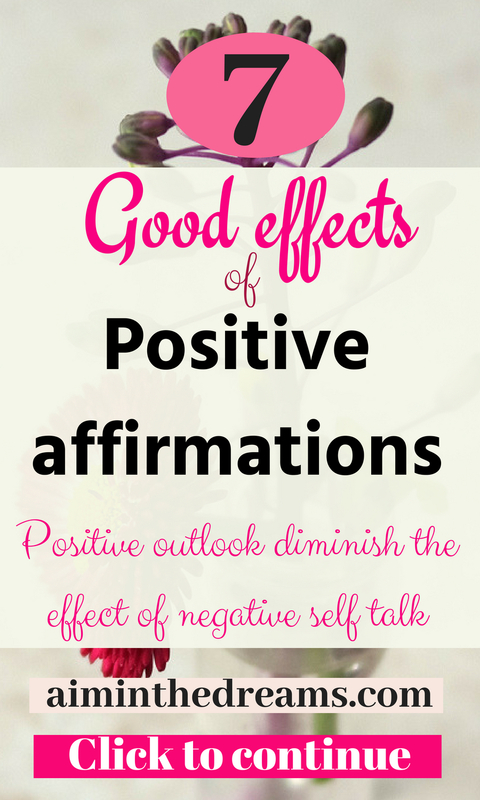 If you are in chronic stress and anxiety prone, positive affirmations doesn’t do any good. Please take some professional help if you are having this kind of problem. This is a very important step in guiding your mind to have positive outlook about life. Whenever you feel like you are talking to your self, pay attention what you are saying to yourself. Is it something negative? If so what is the source of that negativity. Well, it could be anything. It could be your beliefs about your own self, your preconceived misconceptions. Now write down that point. And analyze why on the earth you feel that you cannot do that particular thing.Remove those misconceptions . Instead concentrate on what you can do. 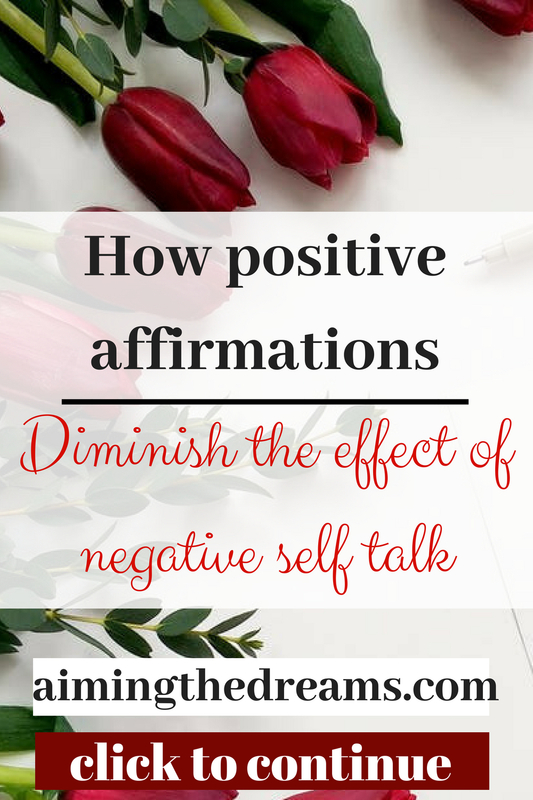 Now let us see how positive affirmations diminish the impact of negative self chatter. Start morning with positive affirmations. This is like an elixir. It will set the mood of your whole day. Positive affirmations work well when you believe about that particular thing. Confidence in your own abilities is a must for your positive affirmations to work. Some people say that positive affirmations does not work always. But what I have experienced is that they do work. If your relationship with your negative talk has gone deeper, you may not experience the result instantly. 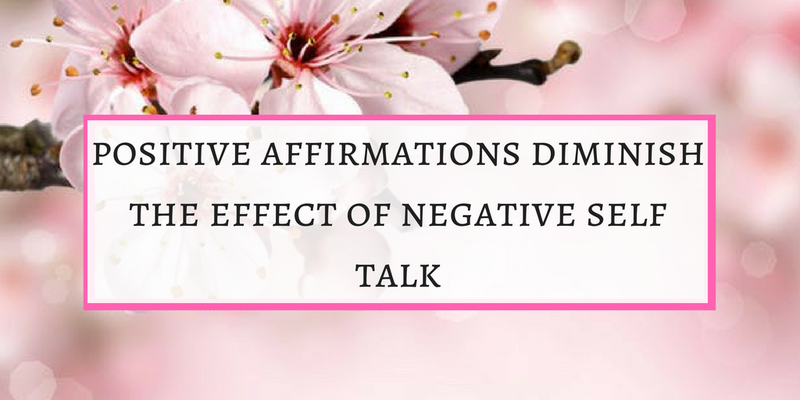 But as you go on saying positive affirmations and try to build your confidence, it will definitely lessens the effect of negative self talk. Negative self talk is something which comes from deeper realms of your subconscious. Now, positive affirmations have to work on the same level to be effective. Our brains are wired to react to negative situations on priority basis.When we go on thinking about something negative, it just stay in the mind. Same way when we start saying positive affirmations, it gets deep into our subconscious. Gradually you will start feeling better. Negative self talk makes your life more miserable by inviting many diseases. Your immunity gets compromised when your nervous system is in flight or fight mode. The body’s repair system doesn’t function properly. On the contrast, when you start altering your self talk from negative to positive, your subconscious starts working on the positive outcomes. And your immune system starts working properly. Stress is a real issue which needs to be taken care before it becomes chronic. Taking professional help is always recommended for this. But if you will not change your thoughts and make them positive , you are not going to benefit from this. Better option is to recognize your negative self talk, replace it with positive talk and positive affirmations. Negative self talk let you believe that you are not good for anything and you will start feeling stressed at your circumstances. It is life and we all have good and bad experiences. And it is not only that ‘not so good’ circumstances makes you stress but sometimes you cannot cope with the good circumstances also. But when you start incorporating positive self talk in your routine , you will be better equipped to act wisely in each and every type of circumstances. Every event have both sides to it whether positive or negative. When you start having positive thoughts , you are better equipped to see the positive side of events. I don’t say that you should completely overlook the negative effects of any event. But it is best practice to have a positive mindset and concentrate on the positive outcome. You cannot stop your negative self talk or negative thoughts. These can only be replaced and this is only possible when you know, it is happening. Suppose you have to walk 5 KM daily. It is a big goal for you. You have to shed some weight and become slim. You want to accomplish this but you think that you cannot do this. Here little bit of positive thinking will help you out in taking your first step. Instead of negative self talk that it is difficult, change your thoughts to I can do it and start by taking your first step out of house. Now start in the morning and say that you can walk 5 Km and let us start. Because taking action also helps in steering your brain to command your nervous system to take action. Changing the pattern of your self talk is not easy but completely doable.You can become expert at changing your thoughts once you know how to figure out your negative self talk. If you feel like nothing is helping you out, please go to professional. Some times it is best to go for counseling and other therapies, if negative energy has replaces all of your positive energy. Hope positive affirmations work well on everybody as they have worked on me. Share this if you like and tell me what are your thoughts about positive affirmations. I agree: What you tell yourself about yourself can be uplifting or tear you down. We need to encourage ourselves! …to tell ourselves, I can do this! Who needs enemies when you tell yourself (or think) about all your own failings. Words are very powerful vehicles. They carry good or bad vibes. The world is already negative enough, we each need to stay as positive as possible. I’m guilty, at times. I think too much about the things I’m not getting done. But, I—we all—need to keep trusting that we are on the right path and striving to do “the next right thing.” For me, I put my trust in God, and am constantly asking Him to guide me to His best plan for me. Thank you Cindy for your beautiful words. I completely agree with you. And yes putting all your trust in God do wonders for our souls and as humans. Thanks. Always good to keep your mental outlook in check. Excellent insight and help to do so! Thank you Andy for stopping by and reading. Get ideas for living a life of fulfilled dreams.